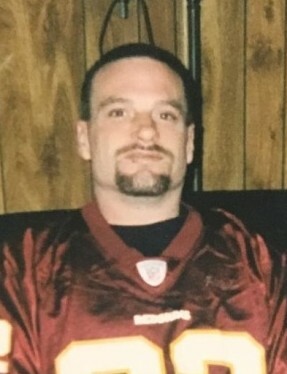 Obituary for Chester W. Ortlip | Wright Funeral & Cremation Services, Inc.
Chester W. Ortlip, III, 47, of Honeybrook, PA passed away unexpectedly Friday, April 12, 2019, in Coatesville, PA.
Born in Coatesville, PA, he was the son of the late Chester William Ortlip, Jr. and Patricia Pizzi Leonard. He was the husband of Michelle D. Ortlip. Chet, as most family and friends knew him, was employed as a landscaper and enjoyed every minute of his career since he was 16 years old. He was a very hardworking and dedicated man. He loved the outdoors, fishing and hunting. Any chance he got he would be doing something with his children. Whether it be throwing back and forth a football with his sons, or playing games with his daughters, nothing could surpass the love he had for his family. He leaves his wife, Michelle; two daughters, Ashley Ortlip and Brook Ortlip both of Honeybrook; three sons, Justin and Tim Lang and Mason Ortlip all of Honeybrook; two sisters, Cindy Ortlip of Geigertown, Angel Kloak of Morgantown; two brothers, Joseph Ortlip of Downingtown, William Ortlip of Pottsville and many nieces, nephews, cousins, aunts, uncles, and friends. In addition to his parents, Chet was preceded in death by one sister, Melissa Weidner and a brother in law, Walter Weidner. The family is planning a gathering at a later date. The interment will be held privately. Family and friends are welcome to light a candle or share a condolence message for the family on the online guest book. https://www.gofundme.com/services-amp-memorial-funds-for-chester-ortlip-iii or by donating directly to the memorial fund held at any Wells Fargo bank.